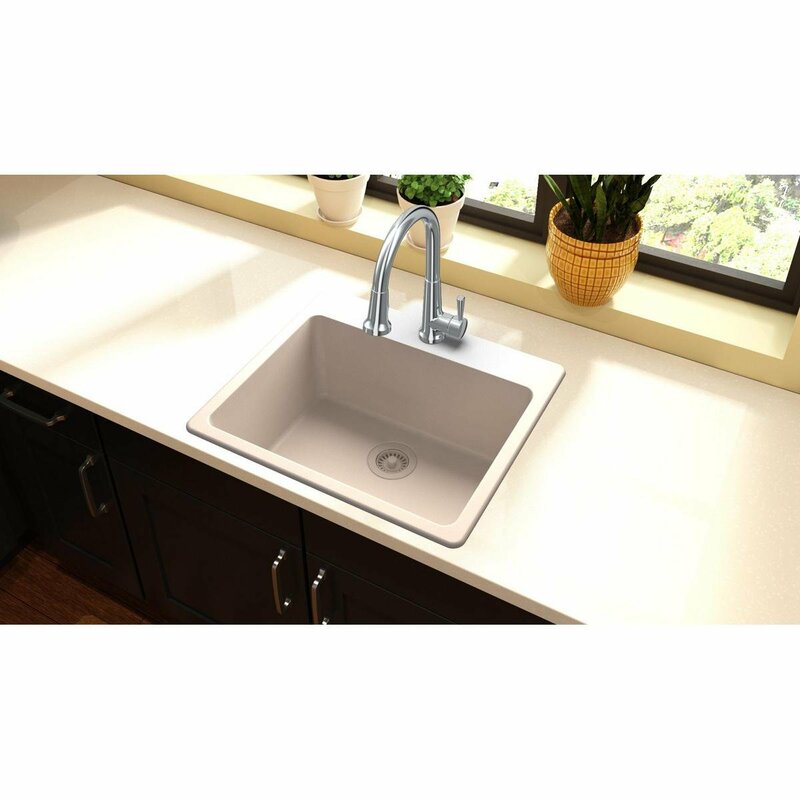 The Elkay Quartz Classic ELG2522 is one of the top-rated quartz kitchen sinks on the market that’s not from Kraus or another very old or popular brand. But that’s for a reason. It’s priced very affordably but without compromising on any of the important factors. In fact, it seems to score much better in most departments than many other premium kitchen sinks. If you’re after a great sink that offers enough of everything without breaking the bank, you should stick around as we tell you what makes the Classic ELG2522 a customers’ favorite. A Go or a No? It’s hard for a sink to look attractive without having a crazy design, but the Classic ELG2522 does manage to do that. It looks very elegant but without making your kitchen look messy or unorganized. If you like a simple design while still wanting it to be attractive, you would appreciate what Classic ELG2522 manages to offer. This sink also has a slight sheen to it, which is again not overdone, making it consistent with its classy look and feel. 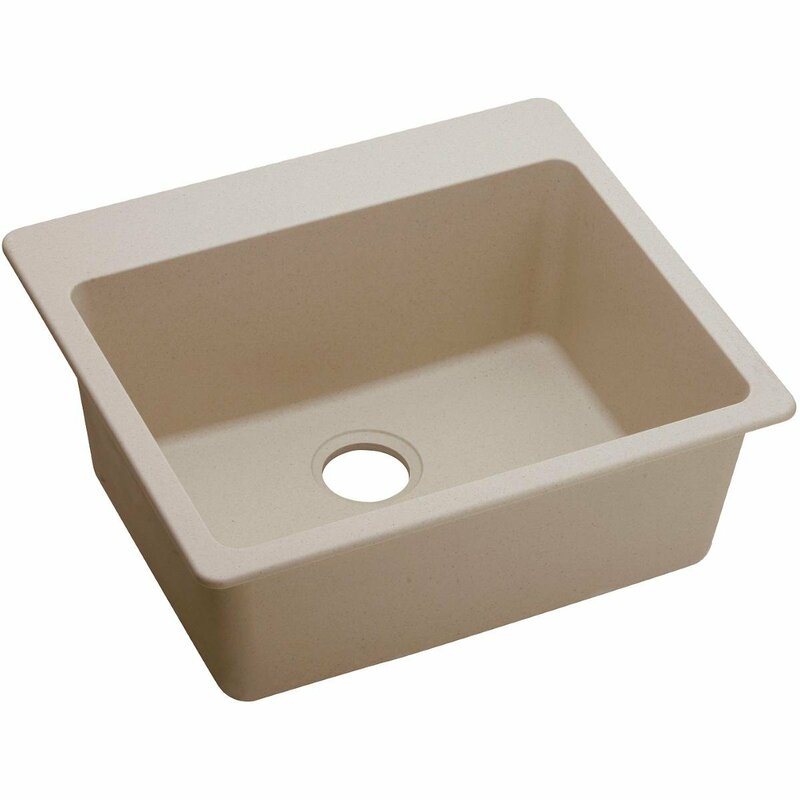 Despite being a rectangular-shaped single bowl sink, the Classic ELG2522 is spacious enough for a standard kitchen. The inside length and width of the sink are fairly large, and it’s deep enough to accommodate all your utensils without a problem. In fact, a customer went on to say that it’s almost like a farm sink but is somehow still compact enough to be a perfect fit for small kitchens. Scratching and staining are a common part of most kitchen sinks’ use, especially the ones that have a special focus on looks. 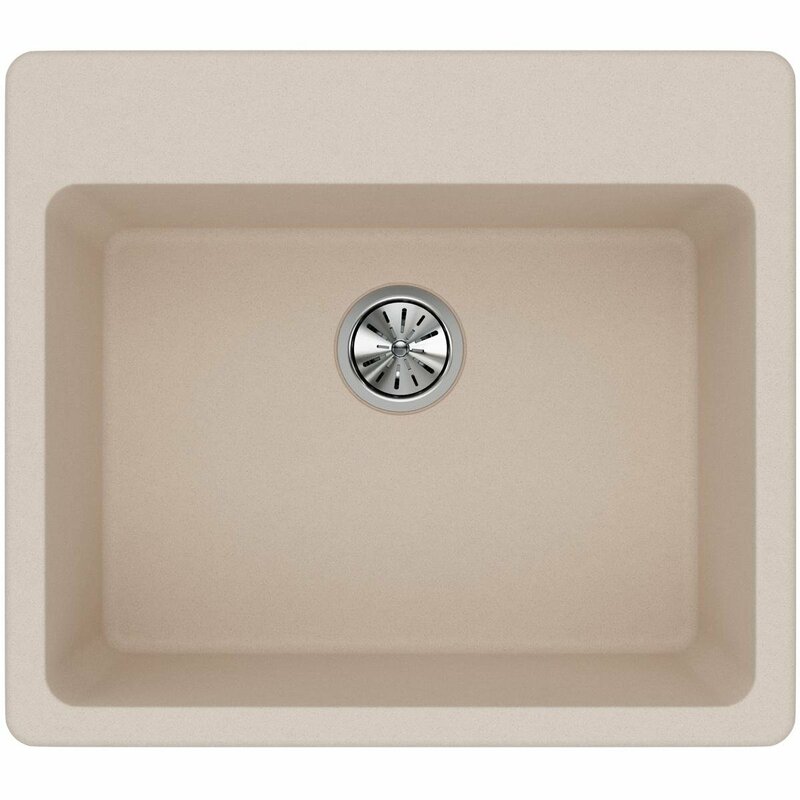 However, the Classic ELG2522 manages to buck the trend, just like many of the other Elkay Quartz sinks. You would find that even after months of use, the sink wouldn’t have a single scratch or stain, let alone something more serious like chipping or heat-damage issues. Something to note about the Classic ELG2522 here is that as a rather unique material known as fine quartz sand is used in its molding process, the sink is also able to handle the banging of items pretty well. This might not seem like a big deal, but it makes the sink a lot more durable than it would otherwise be. It’s common for a sink to end up getting damaged in some way when a large and heavy pan or pot is banged hard into it. However, you can expect the Classic ELG2522 to be able to withstand that kind of banging without getting damaged, which definitely adds to its overall durability. It’s often hard to use a sink that demands a lot in terms of maintenance. Some of them have very hard-to-reach corners, making it difficult for you to clean them properly without spending a lot of time and putting in more effort than you would like. But the Classic ELG2522 turns out to be a winner on this front as well. Its simple design and limited sheen means you wouldn’t find yourself spending a ton of time cleaning it every day, with the corners being pretty easy to reach as well. As the Classic ELG2522 is made using a material that has natural sound-insulating properties, it would turn out to be one of the quietest sinks you may have ever used. Apart from the sound, the unique material also works great at minimizing the vibrations when doing the usual washing, which takes a lot of challenge out of the work. Absolutely a go if you have a limited budget and aren’t after a very unusual shape or anything too crazy. Skimming through the customer reviews quickly would help you decide on it easily if you’re still on the fence.